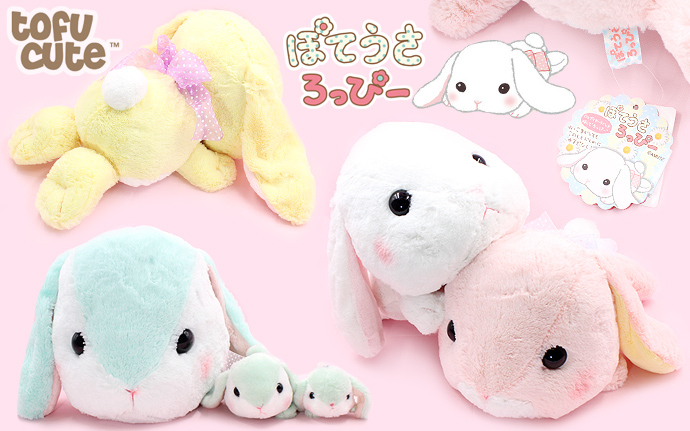 These super cute Pote Usa Loppy bunny plushies are produced by famous Japanese plushie company AMUSE. 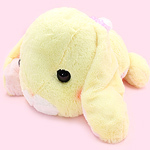 This is version two of the "Sleeping Day" series which is most notable for its cute pose where the rabbits are laying down on their tummies and relaxing, now awake from their naps. 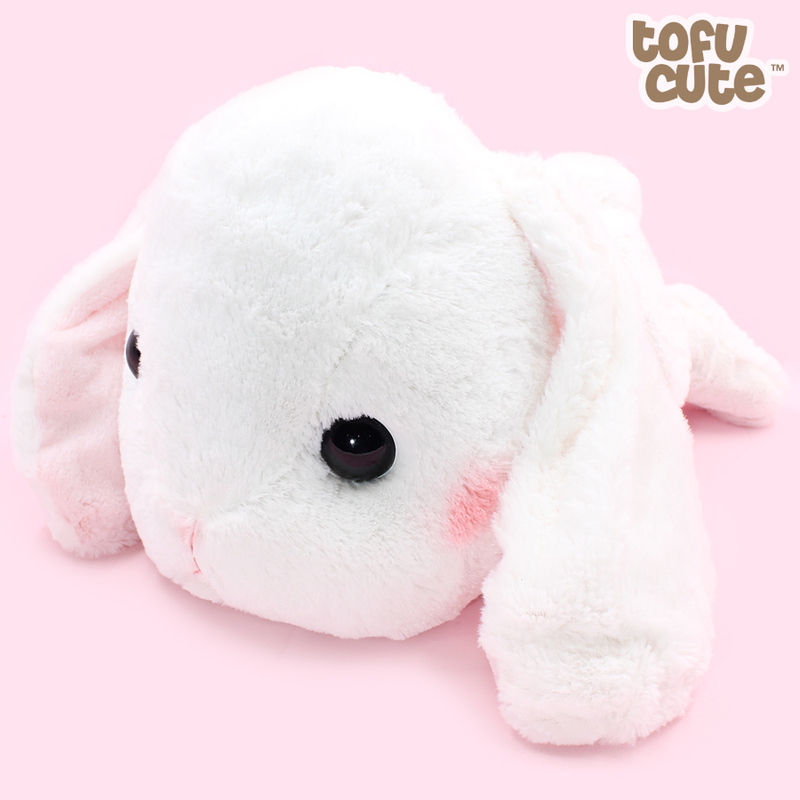 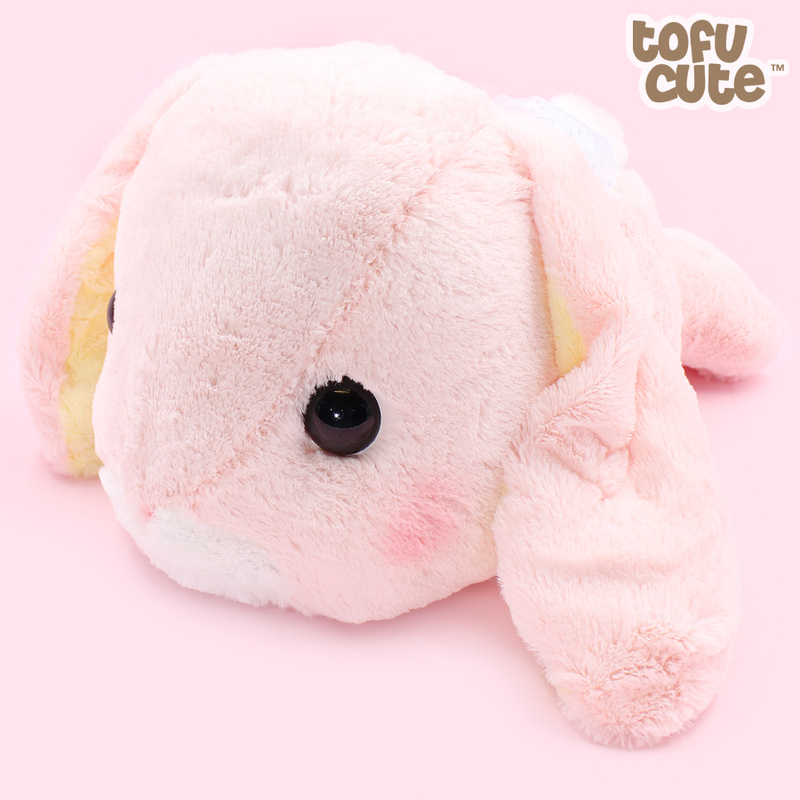 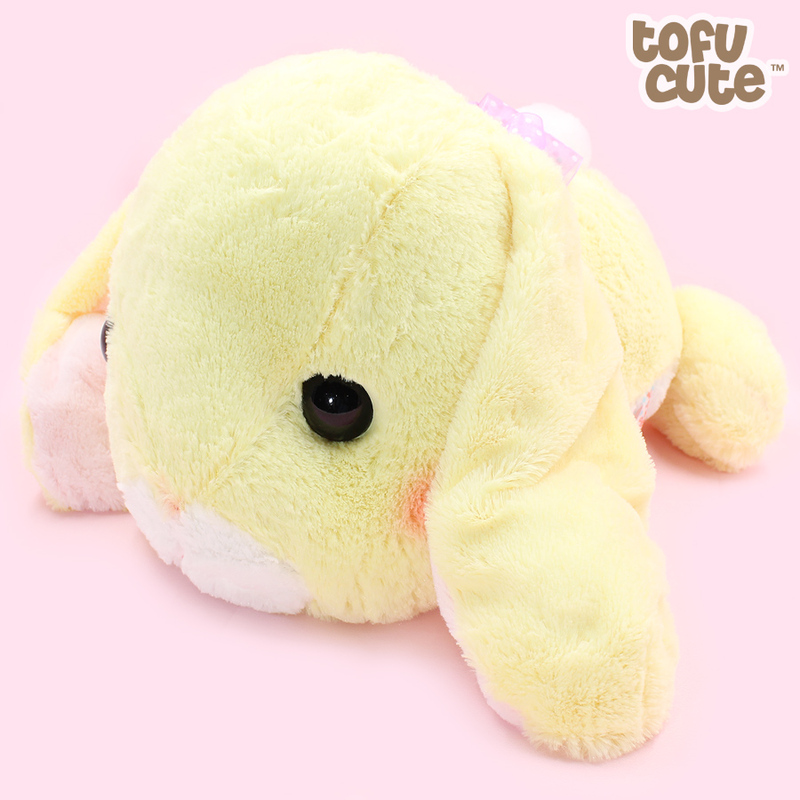 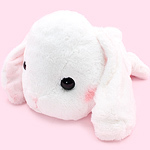 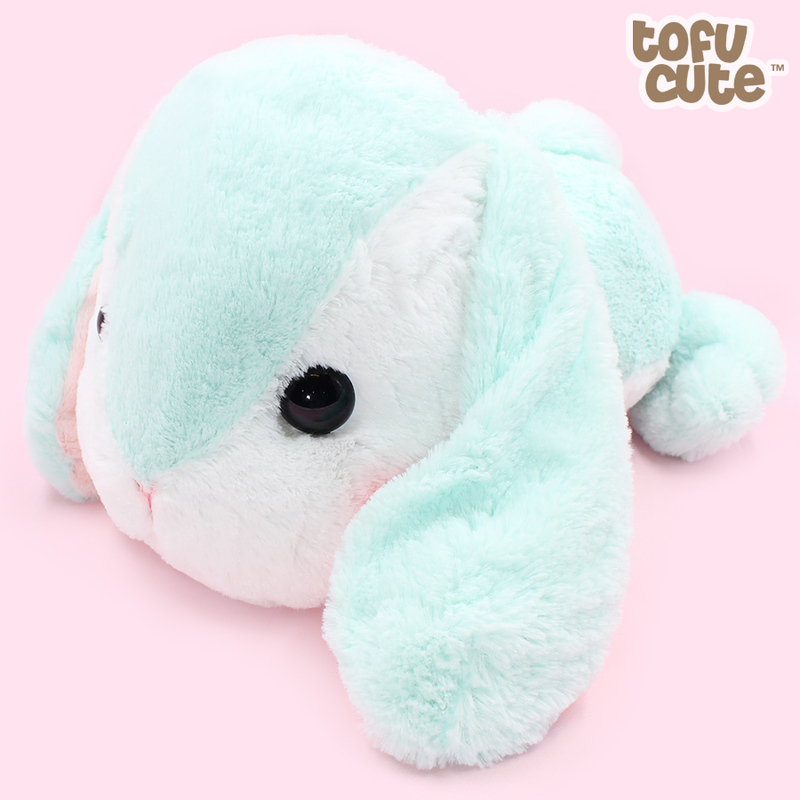 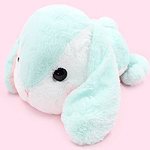 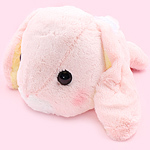 Their adorable blushing cheeks and lovable long loppy ears are hard to resist! 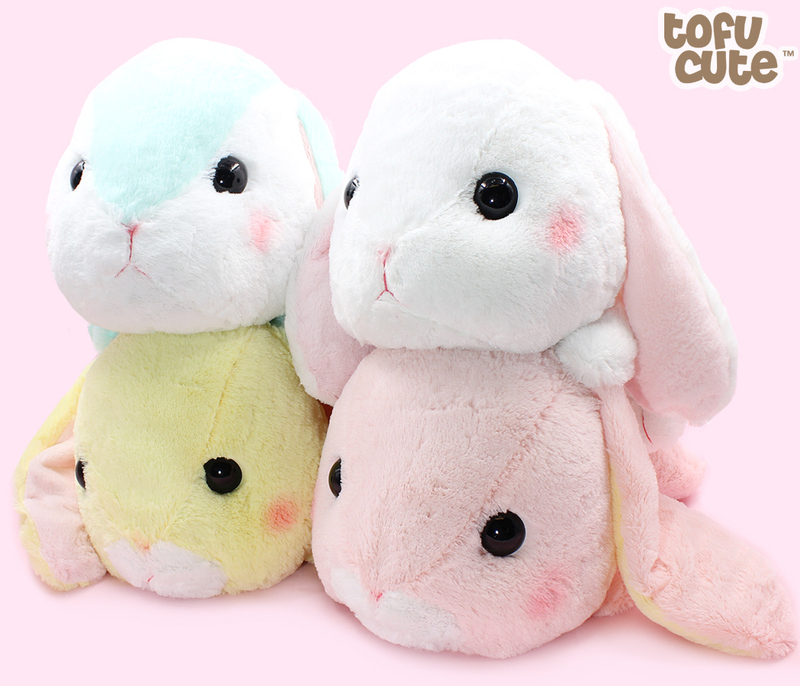 They are available in 4 lovely pastel colours and each one wears a pretty tulle ribbon around their necks.